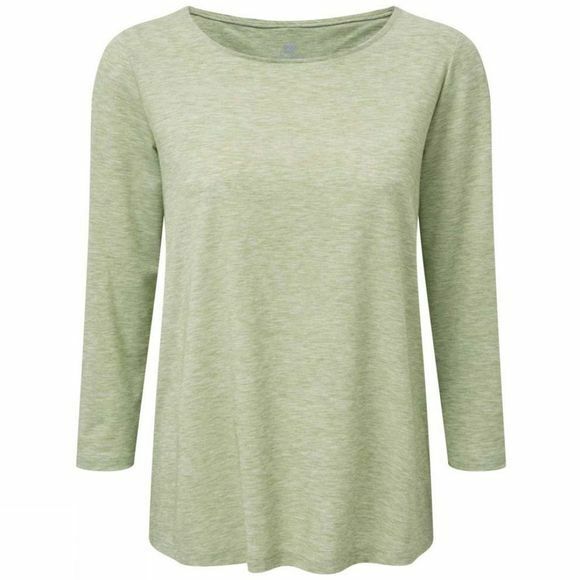 The Asha 3/4 Knit Top from Sherpa uses Drirelease fabric which is breathable, anti-microbial, moisture wicking and wrinkle and stain resistant. Making it the ideal top for active use, without any loss of style thanks to the feminine super soft, stretchy open crew-neck. The Asha also has a UPF of 50 so the only burn you'll be feeling will be as a result of exercise!